After decades of rapid development, China’s economy is entering its “new normal.” The economic growth model is changing, with consumption replacing investment as the core driver of growth. In the first half of 2018, the contribution of final consumption expenditure (FCE) to gross domestic product (GDP) growth reached 78.5 percent. This figure has continued to rise since 2014, with the role of consumption in driving growth becoming increasingly prominent each year. The economic contribution and growth rates of China’s FCE exceed the consumer goods markets in the United States, the Eurozone, and Japan. Between 2013 and 2016, the average annual contribution of China’s FCE to global consumption growth was 23.4 percent, higher than that of the United States (23 percent), Eurozone (7.9 percent), and Japan (2.1 percent) (figure 1). Over the same period, China’s annual FCE growth rate of 7.5 percent was also higher than FCE growth in the United States (2.2 percent), Eurozone (1 percent), and Japan (0.6 percent). This shows China’s outstanding contribution to global consumption. Given sustained economic growth, its influence will continue to expand. With improved spending power and sustained progress in opening-up, China has been steadily increasing its proportion of imported consumer goods in the global consumer goods import market, and its influence on this market has grown correspondingly (figure 2). According to data from the World Integrated Trade Solution (WITS), China’s consumer goods imports accounted for about 2 percent of the global total in 2006. By 2016, the proportion reached 4.4 percent, and the absolute value of China’s consumer goods imports in USD had reached 2.7 times that in 2006. From 2006 to 2016, the sources of China’s consumer goods imports changed significantly. Changes in the proportions of major trading partners and the diversification of trading relationships reflect this. In 2006, Japan, South Korea, Germany, and the United States were the top four sources of China’s consumer goods; but by 2016, the ranking had changed to the United States, Germany, Japan, and South Korea, with the shares of these major trading partners changing considerably. In the meantime, in 2006, countries other than China’s top 10 trading partners accounted for only 24 percent of consumer goods imports, but by 2016, the percentage had risen to 36 percent, reflecting the trend of diversifying trading relationships. A growing number of countries are participating in consumer goods trade with China (figure 3). In a more open market and friendlier policy environment, more countries and regions will have access to the Chinese market and become important contributors to China’s consumer goods import market. In terms of total market size, the total value of retail sales of consumer goods in China reached RMB36.6 trillion in 2017 (US$5.43 trillion based on an exchange rate of RMB6.75 per USD), a year-on-year increase of 10.2 percent. In terms of digitization, China’s online sales were 18.7 times the international average, with mobile payment penetration 3.8 times the global average and mobile internet use outpacing the rest of the world 1.5-fold. In such a large, highly digitized market driven by leading participants, China’s retail landscape has entered a new phase of reform focused on consumer demand and driven by digitization. Overall efficiency is improving through omni-channel integration and supply chain optimization. As reform and innovation deepen, new models, applications, and products are continually being used in China, a trend with far-reaching significance for development and innovation in global retail. Sustained economic development has expanded China’s mid- to high-income population and the accumulation of wealth, making the middle class the main driver of the Chinese consumer market. Wealth accumulation over the past decade has brought about substantial changes in consumption patterns: The proportion of daily necessities has fallen and the variety of consumer spending is expanding in lockstep with income. At the same time, consumers are now satisfied not just by quantity, but have also diversified their demands for quality, high-end, healthy, and experiential products and services, driving the upgrade of consumption in the Chinese market. The innovation and popularization of retail technology based on a series of underlying technologies, including cloud computing, the Internet of Things, big data, and artificial intelligence (AI), are driving the entire retail ecosystem to become more digitized, intelligent, and efficient. This gives retail market participants the opportunity to connect and interact seamlessly with consumers across multiple channels. It is also enabling market participants to optimize and integrate their supply chains with real-time, multidimensional data, improving their operational efficiency and customer service and making them more competitive in the process of reshaping the value chain. Closer regional synergy and resource integration will promote industrial upgrading, leading regional development into a new, “three wheel–driven” model that relies on research and innovation, high-end manufacturing, and modern service industries, as well as promoting regional economic development to release consumption potential. The pooling and circulation of talent due to regional collaboration will increase the mid-to high-income population, which will then become the new driver of consumption growth, especially of high-end products and services. Improved infrastructure will create a connected population in a region where no city will be more than an hour’s travel from another. Connections between the Chinese mainland and Hong Kong and Macao will make consumer and commodity flows more convenient, bringing new development opportunities for overseas brands. China has cut import tariffs on a variety of consumer goods on five occasions from 2015 to September 2018. Measures in July 2018 covered 1,449 items and cut their average tax rate from 15.7 percent to 6.9 percent, representing an average tax cut of more than 50 percent. In November 2018, the government introduced further tariff reductions on certain commodities, as well as measures to streamline customs clearance. Free-trade zones are also a key component of opening-up. China has established 11 free-trade zones—Shanghai, Tianjin, Guangdong, Fujian, Zhejiang, Chongqing, Sichuan, Hubei, Henan, Liaoning, and Shaanxi—each of which plays a pivotal role in promoting trade in goods and imports. As consumers have accumulated wealth and become conscious of quality, their attention to and purchases of high-quality goods have grown rapidly. High-quality imported food, cosmetics, mother/baby products, and health care products have become popular in recent years. According to the Statistical Analysis Report on the Supply and Demand of Major Consumer Goods issued by the Ministry of Commerce earlier this year, quality has become a key consideration in consumers’ purchases of imported products. More than 70 percent of consumers attach importance to the quality of cosmetics; 74 percent seek quality in imported sports products such as outdoor and fitness equipment; and 70.2 percent value quality in household goods. This attention to and pursuit of quality will benefit the long-term development of the best foreign brands in China. From imported fresh fruits and vegetables to additive-free juices, increased health awareness has changed Chinese consumers’ purchasing habits and preferences. In 2017, Chinese imports of plant products including fresh fruit and vegetables, tea, and coffee reached US$15.7 billion, up 11.72 percent from the previous year. In addition to healthy foods, the Ministry of Commerce report indicates that Chinese consumers would also welcome a greater variety of available sports shoes, casual clothes, outdoor and fitness equipment, and other sports and fitness-related products over the next six months. Rising demand for imported health care products is another reflection of the ongoing “health kick” among Chinese consumers. Based on data from the Ministry of Commerce, health care products, which already take up a large proportion of traditional imports, remain one of the categories in which consumers hope to see more imports. All of these indicators show China’s “health kick” has changed not only people’s lifestyles, but also their purchasing preferences. On one hand, consumers from the burgeoning middle-class are increasingly demanding more sophisticated, diversified products such as imported exotic foods, skincare and color cosmetics for different purposes, and health care products with specific functions. On the other hand, the emerging main consumers of imported goods, i.e., the generations born since the 1990s, are more willing to try out new imports and “internet meme” products. They have promoted the growth of a wide range of imports aimed at meeting segmented, diversified demand, including new beauty products, new fashion brands, and popular online food retail. Amid unpreceded digitization, “real life” has become almost indistinguishable from “digital life” as a result of consumers’ dependence on their mobile devices. Numerous online channels have influenced consumers even before they start to develop personal preferences. As purchasing behavior deepens, the logic behind consumer purchases becomes more diversified and more difficult to predict. This means interaction and collaboration between online and offline channels is becoming more important for retailers and brand owners. As far as import consumption is concerned, cross-border e-commerce has grown explosively amid the influence of digitization and institutional innovation. Traditional patterns of consumption are changing beyond recognition, bringing forth new market entities, marketing methods, and channels. People born since the 1990s have a growing presence in overall consumption and cross-border e-commerce. Their involvement has been increasing rapidly each year, gradually approaching the same level as consumers born since the 1980s. As internet-era digital natives, post-1990s consumers’ habits are very different from those of previous generations. They are self-focused and desire quality, experience, individuality, and interaction, traits that are driving them to use more digital channels to obtain high-quality, personalized imported goods and services. Consumers’ perception of and demand for goods is increasingly influenced by digital marketing. E-commerce websites, social media, and multiple online services (information/entertainment/search) have become important channels for influencing and attracting consumers, and interactive content has become an essential element of online marketing. All these changes give high-quality, diversified imported brands more opportunities to influence consumers directly. Support from digital media is particularly important for brands and categories that lack exposure in China. Digital marketing has sparked explosive growth in China’s consumption of Greek body-cleansing products, Chilean red wine, Spanish facial extracts, Hungarian chocolates, and many other imported sub-categories from niche countries. The rise of cross-border e-commerce has provided new channel choices for the development of imported brands in China. Increasingly, imported brands have adopted cross-border e-commerce as a supplementary or even main channel for their import trade, forming an entirely new channel development model. In this new combined channel model, imported brands rely on the open, efficient characteristics of cross-border e-commerce to introduce products rapidly and develop their audiences, bringing successfully piloted products to the Chinese market on a large scale through registration and filing under normal trade requirements before expanding their market share via mature, omni-channel models. These and other channel model innovations improve options for the development of imports in China (figure 5). Driven by consumption upgrades, Chinese consumers are gradually diversifying and refining their purchasing preferences (figure 6). In 2017, the overall growth rate of China’s imports reached 15.3 percent. According to official statistics from China customs, consumption of daily-use chemicals, timepieces, clothes, and household and food products grew rapidly as a proportion of China’s import market in 2017, expanding by 38.1 percent, 20.5 percent, 17.8 percent, 15.8 percent, and 14 percent respectively. Within these broad categories, consumption of cosmetics, milk powder, suitcases, health care products, aquatic products, household products, and fruits and vegetables increased by 48.6 percent, 40.4 percent, 24 percent, 23.1 percent, 19.6 percent, 15.8 percent, and 12.1 percent, respectively, making them some of the most popular imports in 2017. Traditional imported meat (-3.8 percent) imports are being outpaced by the imports of healthier food including aquatic products (+19.6 percent) and fresh and dried fruits and nuts (+12.1 percent). Consumer purchases of these items will continue to rise as Chinese consumers’ “health kick” continues amid consumption upgrades. In 2017, the growth in imports of electronic and electrical product consumption declined (-23.4 percent), mainly due to falling demand for large and mid-sized home appliances. That said, declines in the import volume and growth of certain categories of goods does not necessarily mean consumers no longer want these types of product. It can also mean consumer demand is concentrated in categories that domestic products are unable to satisfy. According to the Ministry of Commerce, Chinese consumers still want to buy imported smart hardware, including water and air purifiers, electric toothbrushes, robotic vacuum cleaners, and photographic equipment. Health care products have long made a substantial contribution to imports into China, with the growth rate of imported health care products reaching 23.1 percent in 2017 alone. Consumption upgrades and China’s aging population are major factors behind this growth. Older consumers become interested in imported products as they upgrade their consumption preferences and young consumers are also paying more attention to health care. There are only about 2,000 health care products targeted at elderly consumers in China, compared to more than 40,000 in Japan. There is still substantial room for foreign producers to meet Chinese consumers’ demand for greater diversity in elderly health care products. Consumer demand for health care products with different functions, elderly rehabilitation supplies, and audio-visual products that meet elderly lifestyle needs has yet to be satisfied. China’s economy will continue to grow; the Chinese consumer market has huge potential and its geographical horizons are expanding; and Chinese consumers have a strong appetite for high-quality, diversified imports. In these circumstances, brand owners with ambitions to enter the Chinese market should adopt a strategic approach. They should start with their own unique characteristics and brand development strategies, and use digital means to better understand and interact with consumers so as to determine optimal marketing methods and channel combinations. This will put them in a strong position to achieve sustained development with the support of China’s mature, omni-channel resources and technology. Tian Bing Zhang is the APAC Consumer Product and Retail Sectors leader and a partner with Deloitte Consulting S&O, Deloitte China, where he is responsible for strategy and operations consulting for the general manufacturing sector. He is based in Shanghai. 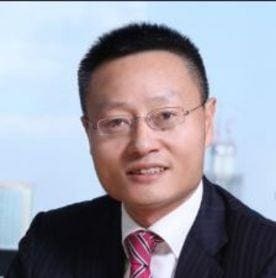 Si Tao Xu is a partner and Deloitte China chief economist with Deloitte Enterprise Consulting (Shanghai) Co. Ltd., Beijing Branch. He is based in Beijing. Lydian Lan Chen is the director of research with Deloitte China. She is based in Shanghai. Consumer industry consists of four sectors: Automotive; Consumer Products; Retail, Wholesale, and Distribution; and Transportation, Hospitality, and Services. The Deloitte Consumer practice delivers integrated services to clients and assists them to win the fast-changing market environment. New retail reinvigorates China’s imports has been added to your bookmarks. New retail reinvigorates China’s imports has been removed from your bookmarks.